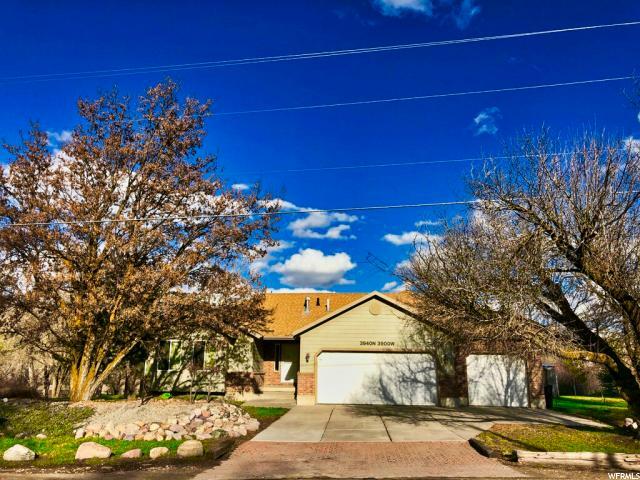 All Peterson homes currently listed for sale in Peterson as of 04/21/2019 are shown below. You can change the search criteria at any time by pressing the 'Change Search' button below. If you have any questions or you would like more information about any Peterson homes for sale or other Peterson real estate, please contact us and one of our knowledgeable Peterson REALTORS® would be pleased to assist you. "Sellers have loved the spacious, bright open rooms with terrific views in this masterpiece located on the base of the Wasatch Back. The large bedrooms and huge rec room downstairs gives you lots of room to play and have your own space which includes an exercise area with floor mats. Newly refinished hardwood floors upstairs shine like gold from the moment you step inside the front door. Step into the sun room deck year round for a burst of Sun and vitamin D. All upper windows of the sun room can be easily removed to enjoy a screened in feel. Sellers have loved living in a rural atmosphere but only having a short drive to locations such as Hill AFB, Layton, and Ogden-and Salt Lake City is just 45 minutes away, World class skiing at Snowbasin 15 minutes away, Pine View reservoir 20 minutes away. The big yard has plenty of space for all kinds of outdoor activities with a majestic view of Snowbasin towards Lewis Peak. A power panel on the side of the house is wired so that a generator can be plugged in and most of the house's appliances can be run directly from the generator (depending on the wattage of the generator used). This is nice to have in case of rare power outages. The on-demand water heater is brand new, installed January 2018, and ensures you'll never run out of hot water, even if the everyone is taking showers and you're filling the jetted tub. There's an electric outlet in the soffit near the front door, connected to a light switch inside the door, for plugging in Christmas lights! And the yard sprinkler system is connected to the pressurized secondary water."